We hire Embedded Software & Hardware Engineers (part & full time)! We believe in Technology for Human Progress and cocreation of automated solutions with a high impact. By building high end maritime robotics, swarm technology and data analytics in front running projects with a multidisciplinary team for renewed water & port authorities and offshore companies in renewable energy. We built multipurpose vessels for survey & inspection in the fields of maintenance and marine ecology of waterways, ports and sea. 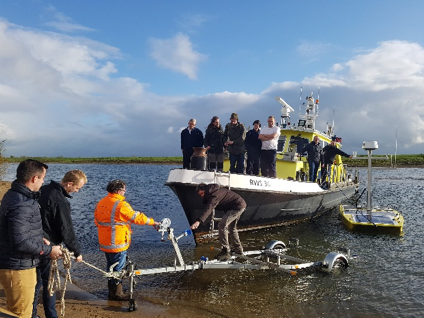 These robots operate autonomous and provide a full data service for water and port authorities, dredgers and marine contractors like offshore wind and renewables. Such as Ministry of Infrastructure & Water Management, Port of Rotterdam, Water Boards and Boskalis. Let’s build a sustainable future… smart, safe and clean!